While the term Biwa initially described the “stick” freshwater pearls with their unique oblong shapes from Lake Biwa near Kyoto in Japan, today the term is generally used to describe the unique shape of this pearl. Today most of the stick pearls originate from China. 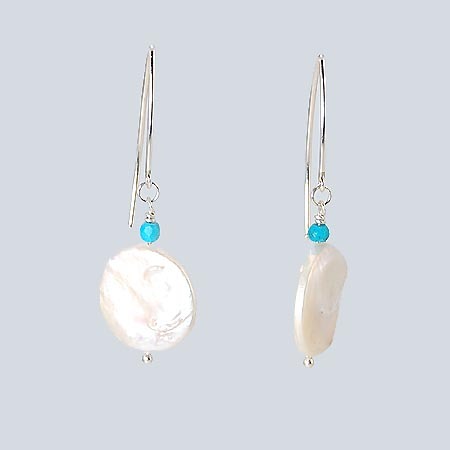 Three gorgeous white iridescent oblong stick freshwater pearls dangle, each on its own delicate argentium silver chain, from a single classic white near round cultured freshwater pearl. 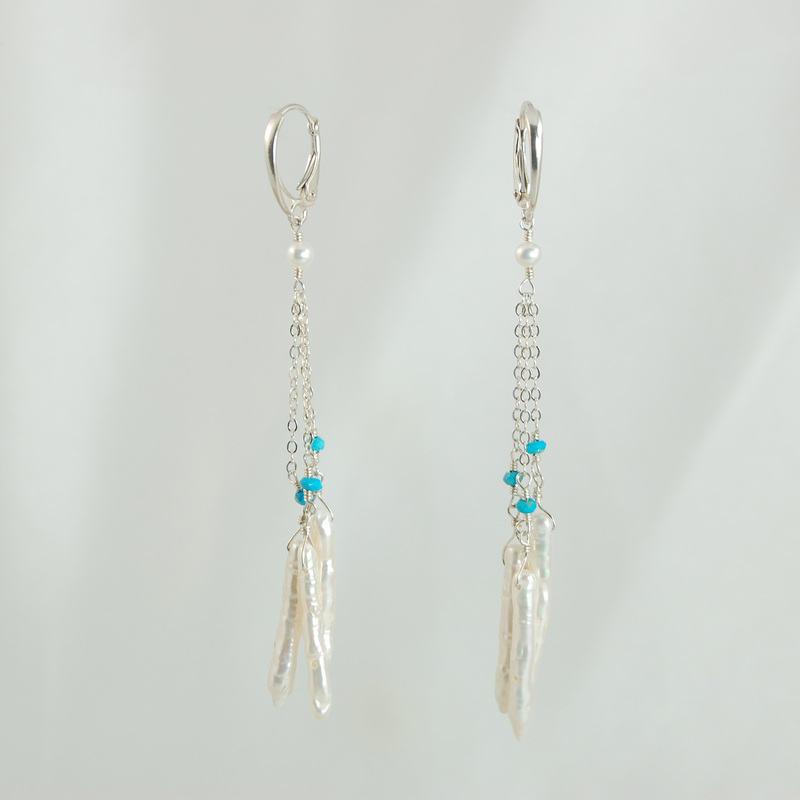 Accented by pale bluish green small faceted Turquoise beads these 3 1/2 inches long earrings are a stunner. 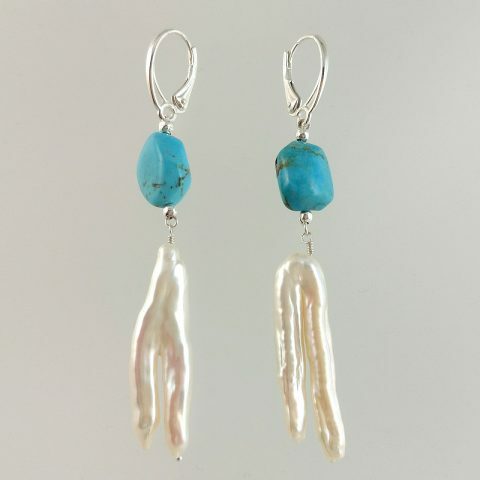 Argentium silver wire work ties the pearls and beads to the individual chains and gives these earrings the prefect finishing touch. Polished sterling silver lever backs ear wire provide a snug and secure hold.